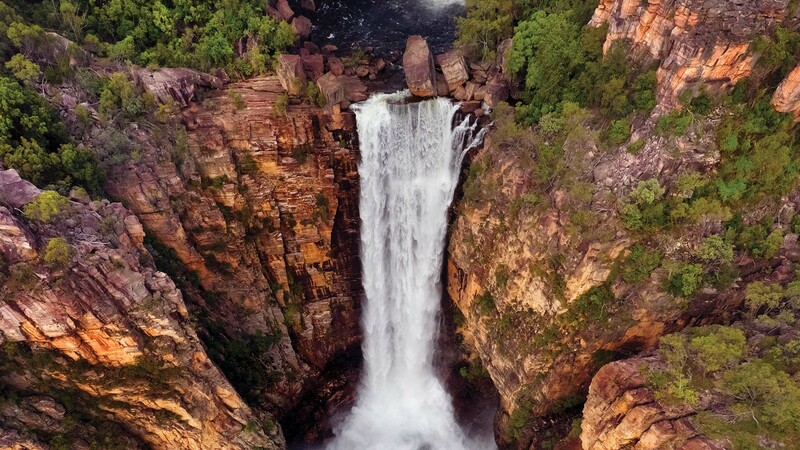 A very captivating falls can be found in Jim Jim Area of Kakadu is one of the best-known attractions of the Australia’s Kakadu National Park. Currently, access to the area has tremendously improved. There are well maintained gravel road and even the two-wheel drive vehicles can get to Jim Jim camping area though not to the falls itself. At the top of the plunge pool is a sure win! Everyone has been enjoying taking a dip in a hot day. But it is highly recommended for you to take some more time to spare the falls to enjoy and explore going to the top of the falls. Are you a hiker? This is one that you can try, it is called the Barrk-Marlam Bushwalk. It is a six-kilometre return walk that takes you six hours return depending on your pace. First part of the walk is a bit challenging as this is a steep climb up to the side of the hill but most of it was an easy stroll thru the bushland along the top of the slope. This place is surely one good place for hiking, relaxing and camping all rolled into one.